Taijiquan, Back to the tradition – There are no martial arts without Jin (勁). What is a traditional Neijin (内勁)? I think it is almost a miracle to meet a traditional Taijiquan successor in this age. My encounter with the Taijiquan was accidental. At the age of 24, I entered and became to be a student of the Chen Taijiquan master, and had been devoted to practicing martial arts for 20 years. Time has been passed. I am not so young now, but then I resumed it as a health exercise. A philosophy itself is simple as this, but there are the traditions behind this. This traditional movement has been inherited. I am grateful that I was given an opportunity to learn the real thing in my life. I would like to share this traditional wonderfulness to others. Taijiquan (太極拳) fighters use the open-palm strikes toward the opponent face when they fight. A picture shows “Brush Knee Twist Step (搂膝拗步)”. Open-palm strikes are effective ways to fall down the enemy with inducing a brain concussion without outer damages. 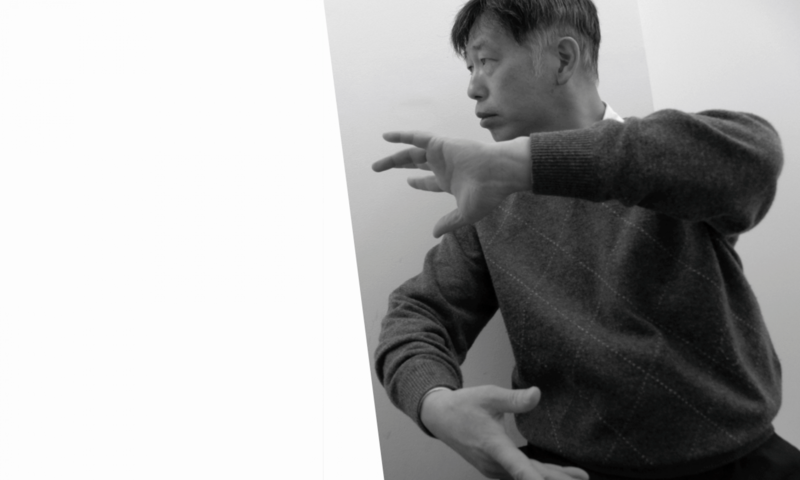 If the open-palm strike is a technique as a similar level of slapping or spanking, we could not say that Taijiquan (太極拳) is martial arts. If so, there is no tradition. Fist strikes also exist in Taijiquan (太極拳). Step forward parry block and Punch (搬攔捶) that is memorized as a hard punch because it is created by the body step forward momentum and the lower back twisting power with the coordination of the blocking power. If you want to damage ribs and organ, throwing the fist into the body is easier and simpler way than the open-palm strikes. Heel Kick (蹬脚) strikes into the lower part of the belly by the shoe heel. It is effective in street fighting combats, but you should know it is very dangerous. True kicks basically do not use the kicking leg’s muscles to lift the leg, but use the standing leg’s muscles and the core muscles in the hips and lower back.